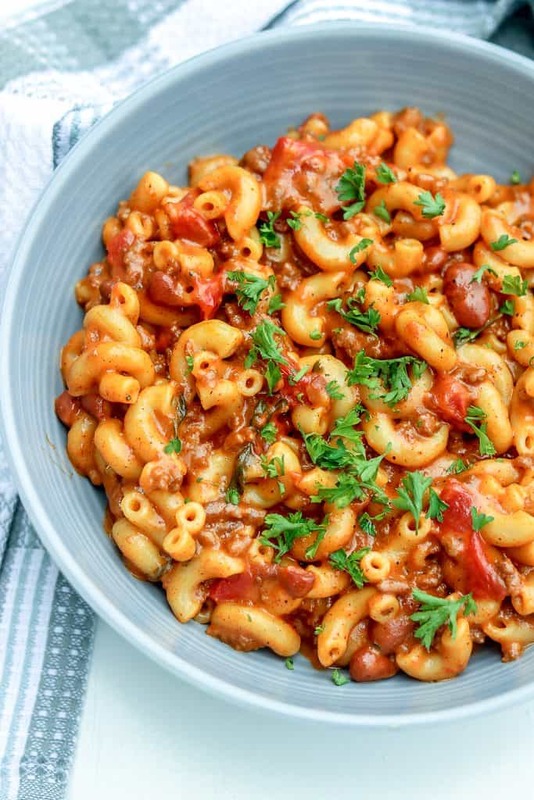 Why Does This Instant Pot Chili Mac And Cheese Work? My family’s favorite one pot dish! they loved my spaghetti pizza baked, so I’m not surprised at all they are in love with this recipe. Made in one pot and completed in 15 minutes. 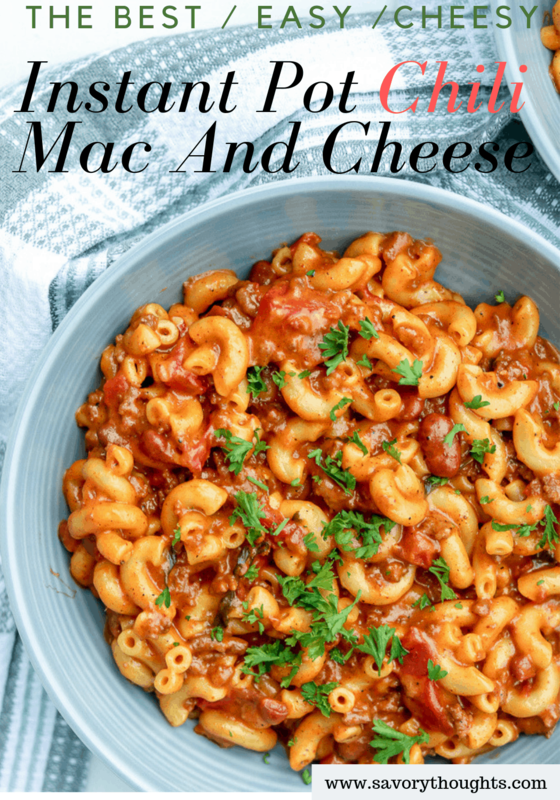 This chili mac and cheese instant pot recipe is perfect for mac and cheese lovers, like my son, and perfect for chili lovers like myself. The best of both world in one bowl. 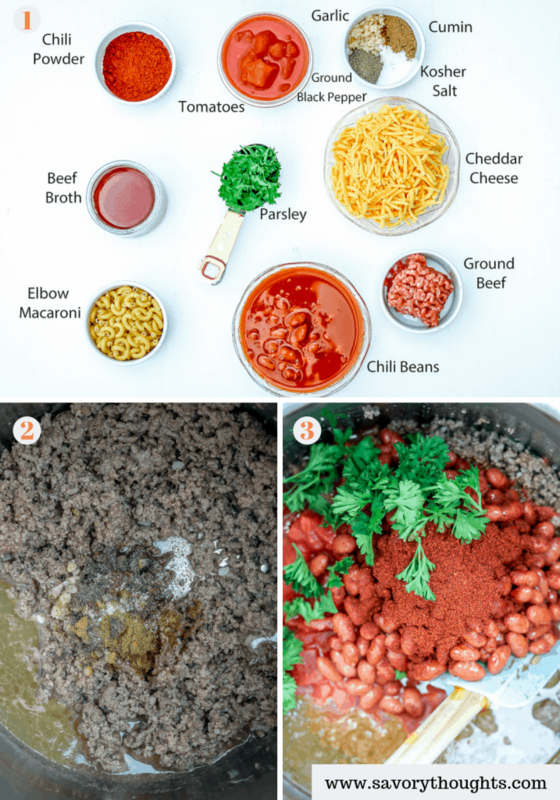 How To Make Chili Cheesy Mac and Cheese In The Instant Pot? 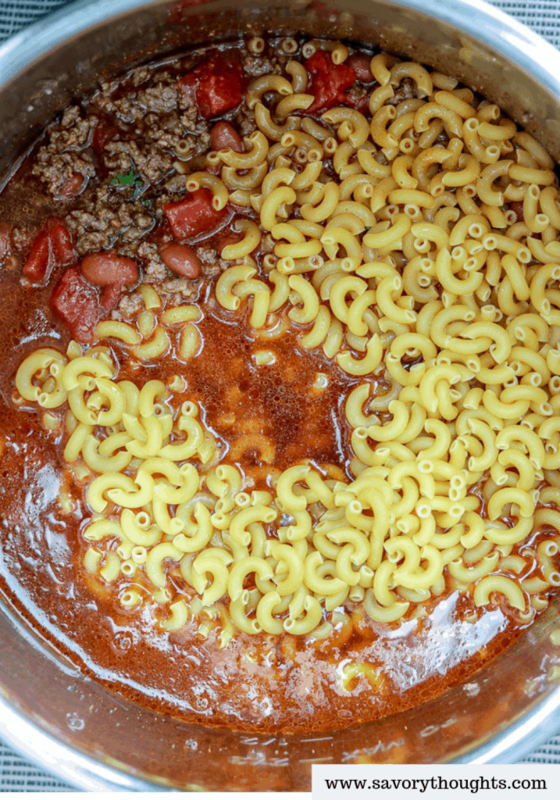 The base ingredients to make this one pot dinner are: elbow pasta (1 box), chili beans, ground beef, sharp cheddar cheese (the more the better), and beef broth. The ingredients I used are listed in picture one. On the instant pot, press Sautee (set for 10 minutes). Add the ground beef, and once the meat starts to sizzle, start to breaking down the beef so it can cook evenly – picture 2. Lightly brown the meat (about 3 minutes). Add salt and pepper, garlic and cumin. Stir. Add tomatoes, beans, chili powder, and parsley. Stir. Picture 3. Add 1 box elbow macaroni and beef broth. Stir. Put the lid on. Turn the valve to sealing. Pressure cook on high for 5 minutes. Once done, quick release (keep the warm button on) and add cheese 1 cup at a time. Add more cheese if you need too. Serve warm and garnish with finely chopped parsley. Enjoy! Did you make this Chili Mac And Cheese recipe? Tag me on Instagram or Facebook and please give it a star rating below! 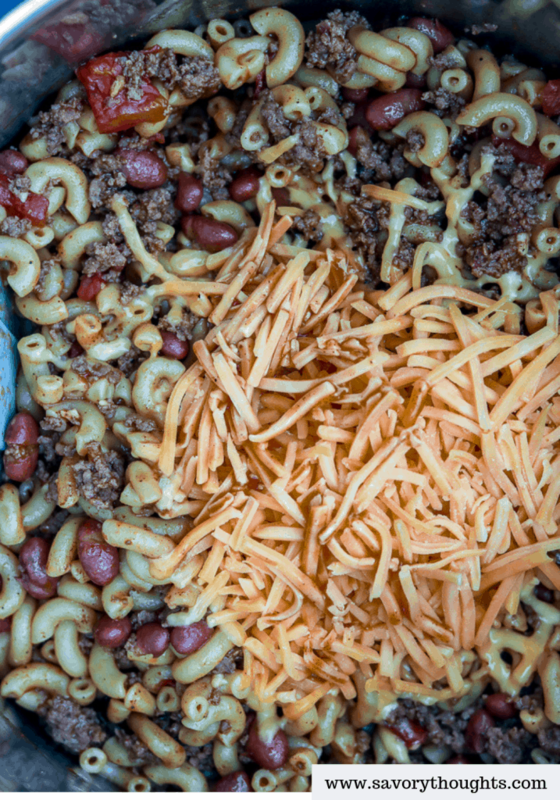 SAVE THIS CHILI MAC AND CHEESE RECIPE TO YOUR PINTEREST BOARDS! 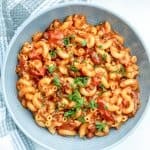 Easy Instant Pot Chili Mac And Cheese. Perfectly combine two of your favorite comfort foods in ONE POT to create the ultimate cheesy ONE POT MEAL. 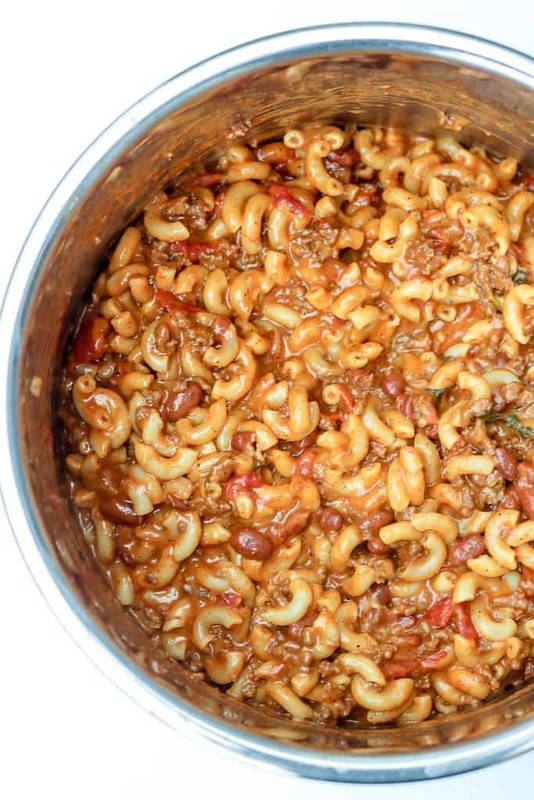 It is a hearty, quick, delicious, and comforting recipe for chili mac and cheese lovers. On the instant pot, press Sautee (set for 10 minutes). Add the ground beef, and once the meat starts to sizzle, start to break down the beef so it can cook evenly. Add tomatoes, beans, chili powder, and parsley. Stir. Put the lid on. Turn the valve to sealing. Pressure cook on high for 5 minutes. Once done, quick release (keep the “warm” button on) and add cheese 1 cup at a time. Add more cheese if you need too. Serve warm and garnish with finely chopped parsley. Enjoy! 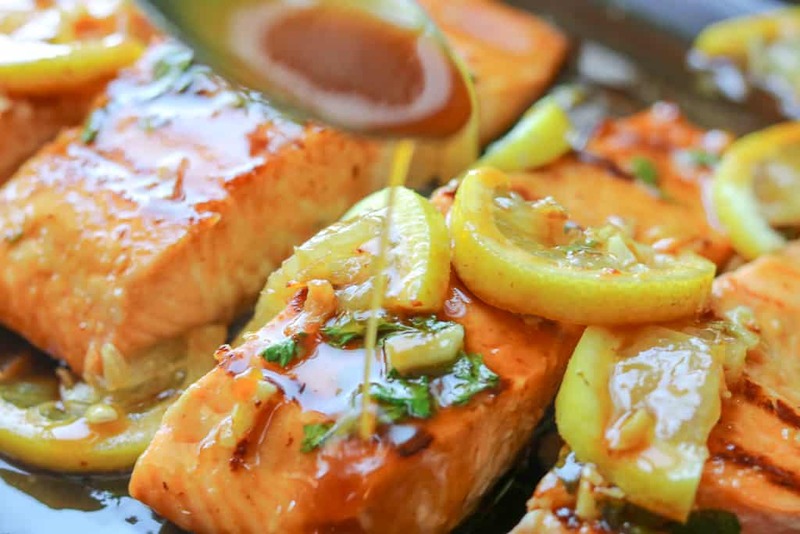 Can I make this recipe in the oven? Yes, you can. Cook the pasta in accordance with directions on the box. Drain and set aside. Brown the meat in a large skillet. Add all of the ingredients. Then add the pasta and cheese. Mix well. Transfer to a baking dish, top with more cheddar cheese, and bake in the oven on 350 degrees for about 30 minutes. Do You Need To Add Beans? No, you do not need to add beans. 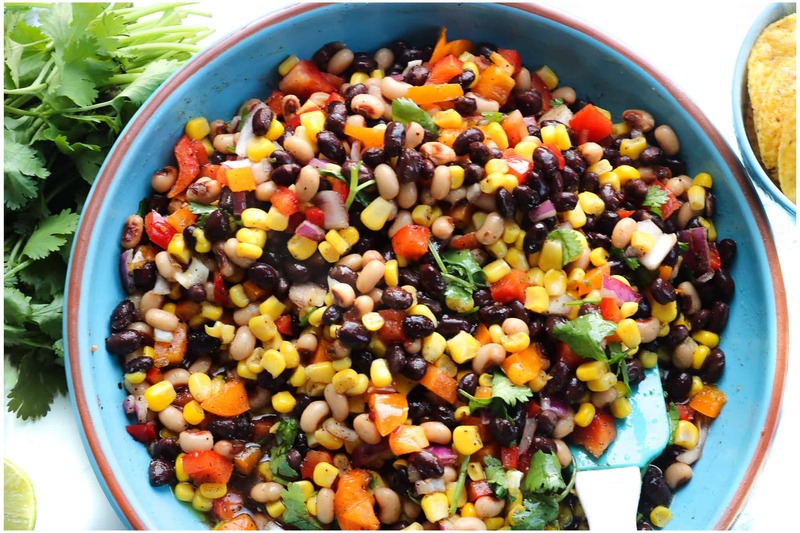 This dish is tasty without the beans as well. 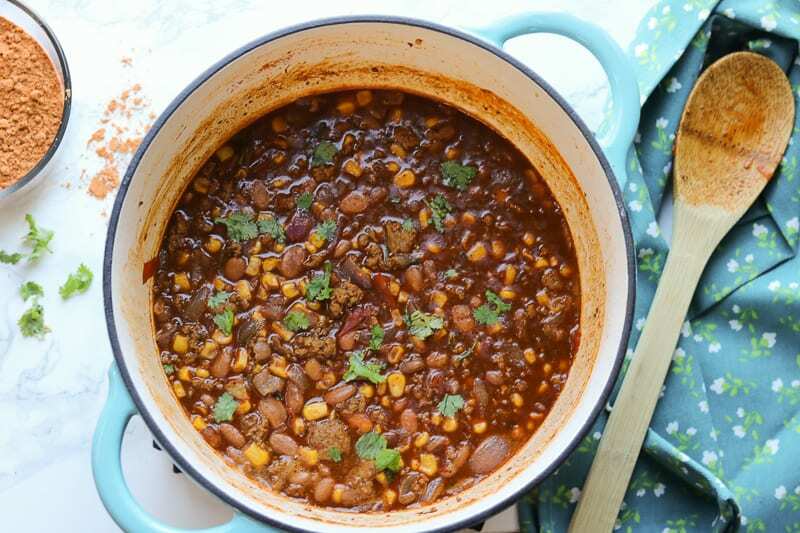 Can You Add Velveeta cheese to make Instant Pot Make Chili Mac and Cheese Casserole? Yes, you can add Velveeta cheese. However, I prefer cheddar cheese.